So there’s this great restaurant on the Hamilton mountain that ha- WAIT, STOP. What? You thought all the good restaurants were downtown? WRONG. 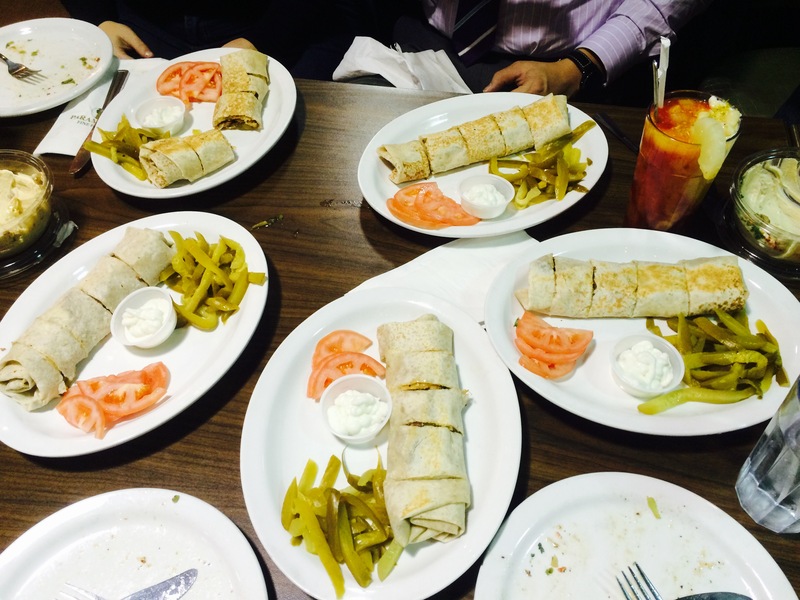 There’s a growing number of fantastic restaurants on the Hamilton mountain. Welcome to a whole new world my friend. I’d like to introduce you to Paramount Fine Foods on Upper James Street, although I wouldn’t be surprised if many of you already know about this place since they’ve been popping up new locations across the GTA over the last four years. 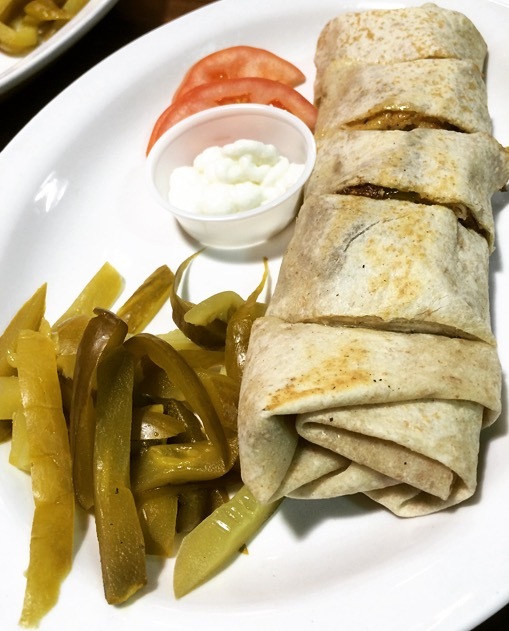 I was lucky enough to be invited to their Hamilton location to try out a few new items on their menu, along with a bunch of other local food bloggers. Sura and her attentive staff were wonderfully accommodating and knowledgable. 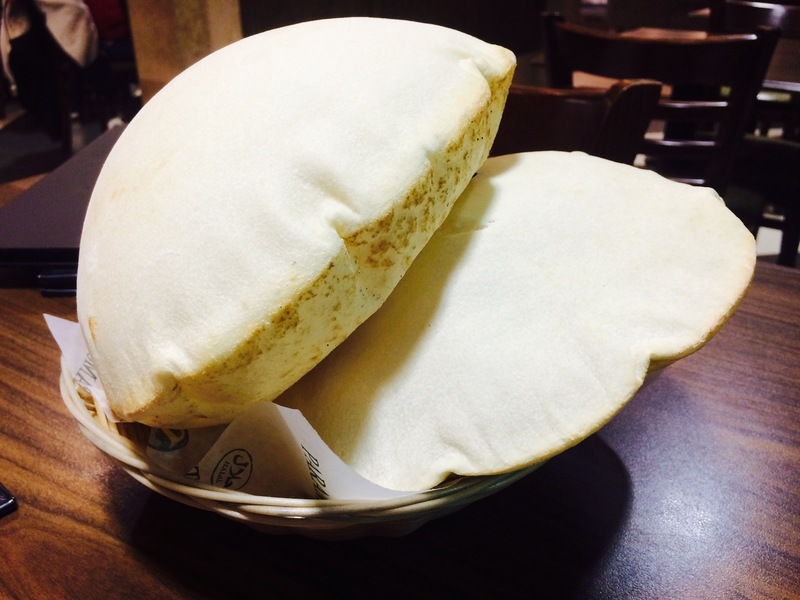 To warm up our tummies, they brought us multiple baskets of their new Saj bread. This hot out of the clay oven, thin crust bread is prepared by hand and served piping hot – with steam still coming out of its airy insides. The dough is absolutely delicious and fills the air with that familiar warm bread smell as it hits the table. 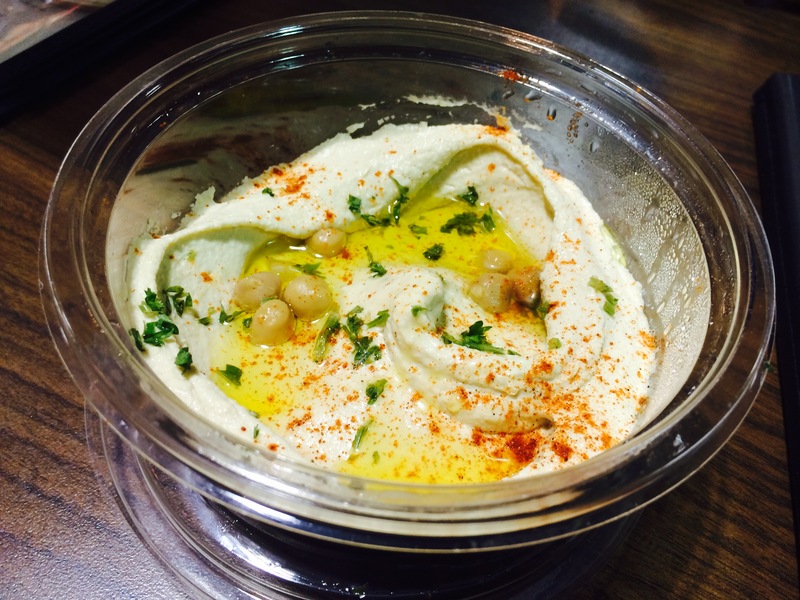 So, naturally this bread pairs perfectly with a bowl full of hummus. I really enjoyed this appetizer as it wasn’t consumed by copious amounts of garlic, like some hummus I’ve tried in the past. It was perfectly creamy and had just the right amount of olive oil. I also appreciated the chickpeas ontop as it added another layer of texture to the dish. 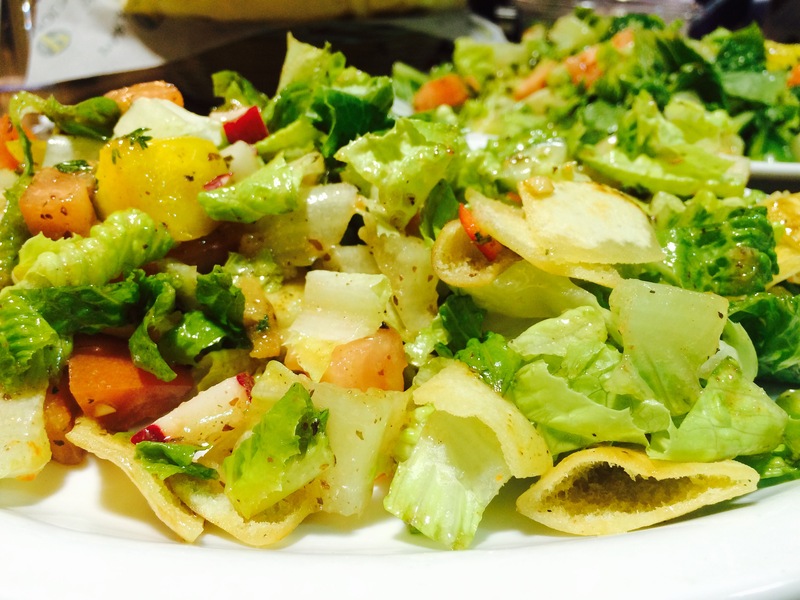 We were brought a wonderfully fragrant and equally delicious Fattoush salad. The vinaigrette dressing was light and tangy, paired well with the fresh veggies and my favourite part of the salad, the crispy fried pita bits. This salad is a great way to start your meal on a healty and satisfying note. Up next was the main event. MEAT! 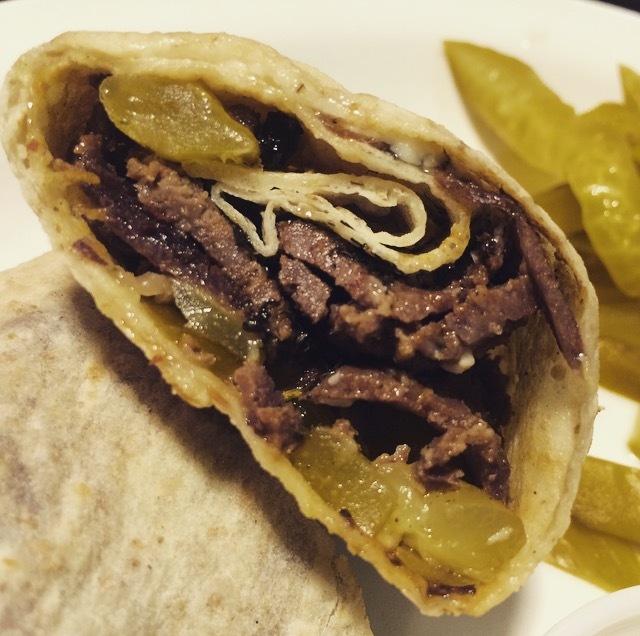 Pictured on the left is their new Sujuk Shawarma which is a grilled, spiced minced beef sausage wrapped up tightly in a pita and stuffed with pickles. 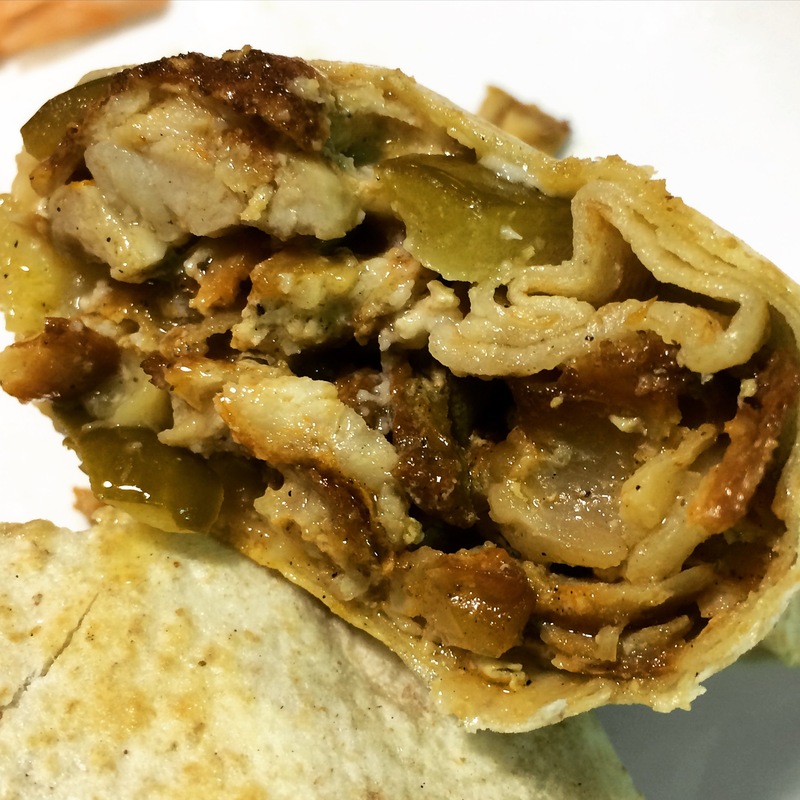 On the right we have my pick, the all new Saj Sandwich – roasted chicken wrapped in their fresh Saj bread, stuffed with pickles and seasoned with all sorts of wonderful Middle Eastern spices. This was my favourite because the jucy chicken really allowed the flavours of the spices to shine. On the side are some fresh tomatoes, pickles and a delicious garlic sauce for your dipping pleasure. Moving on, I gave my tummy a pep-talk and prepared myself for the dessert round. The dessert in the picture below really intrigued me. While looking at their selection of desserts and carefully choosing what I wanted, I was informed that the orange bits ontop of this ooey-gooey plate of cheese were infact Vermicelli noodles! 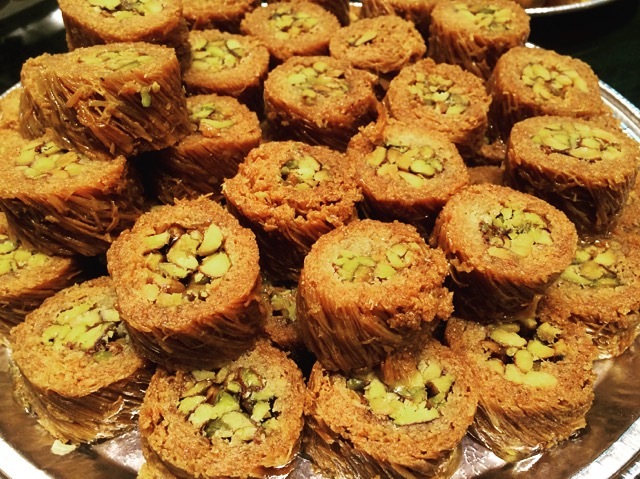 They utilize these noodles on many of their desserts and Baklawa as well. I was unsure of this dish at first and was expecting a strong cheese flavour however, that was far from the case. 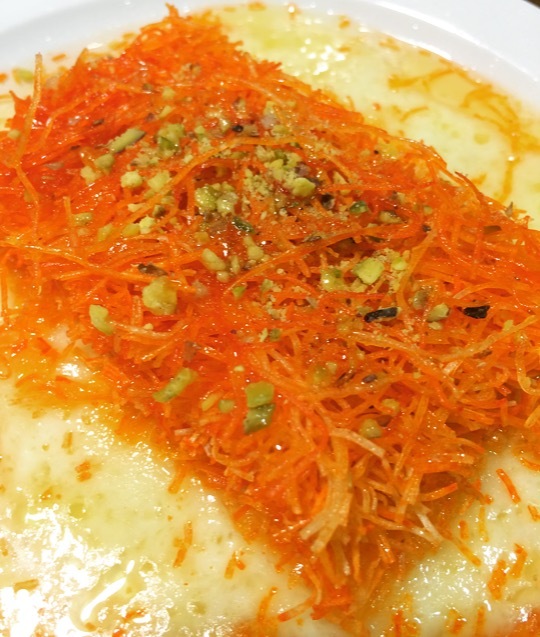 This delightful dish is called Kinafe; cheese drizzled with sugar syrup, topped with vermicelli and crushed pistachio. The cheese is very mild and not overpowering which plays well with the sweetness of the syrup. Because I’m a small child at heart, these cookies were singing my name. Sprinkles? Yeah, totally doing that. 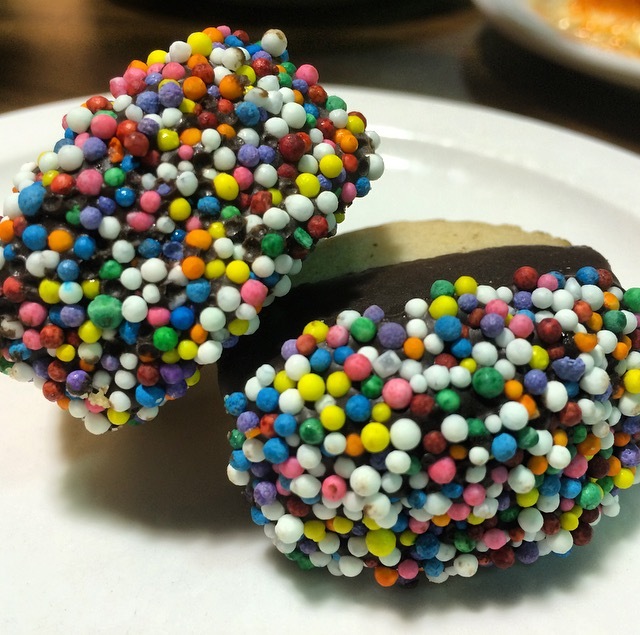 These bad boys were filled with a vanilla cream and dipped in dark chocolate, then as you can see, dipped in a sea of fun, colourful sprinkles. These were super tasty! 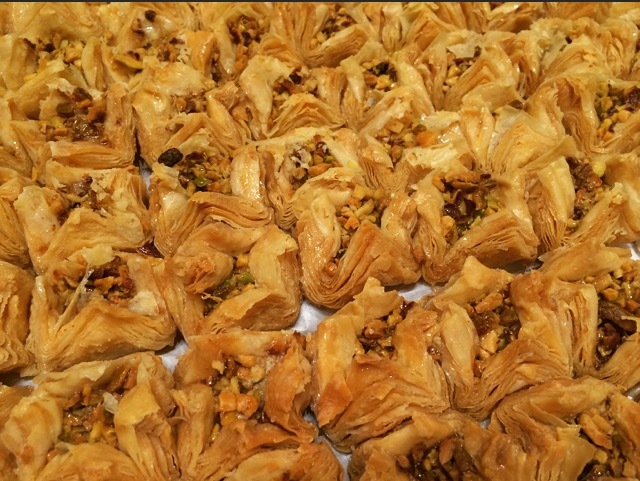 I present to you, the star of the evening: BAKLAWA! (I originally thought this was spelt with a “v” and not a “w”) Shout-out to my boyfriend for telling me its spelt with a “w” and not a “v” and being a trooper when I didn’t believe him. OOPS. Sorry babes – you’re right. But really tho, can someone explain to me the difference in spelling? 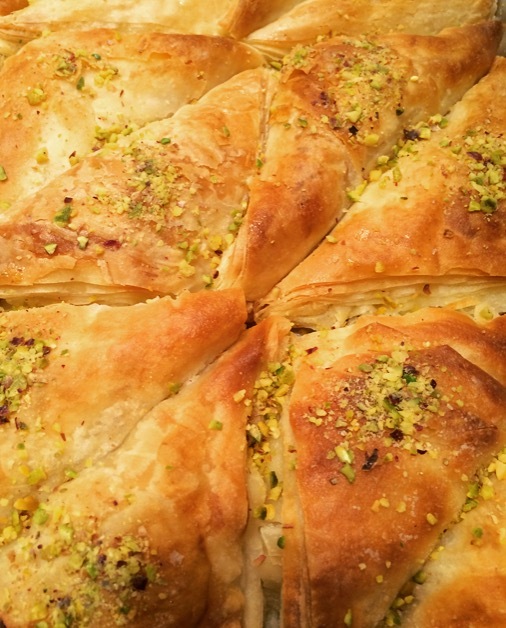 More importantly, the Baklawa here is incredible. One might even say as addicting as Cocaine! I’m looking at you Paul from Hamilton Gastronomy. We agreed there must be some secret cocaine ingredient baked into these golden nuggets. 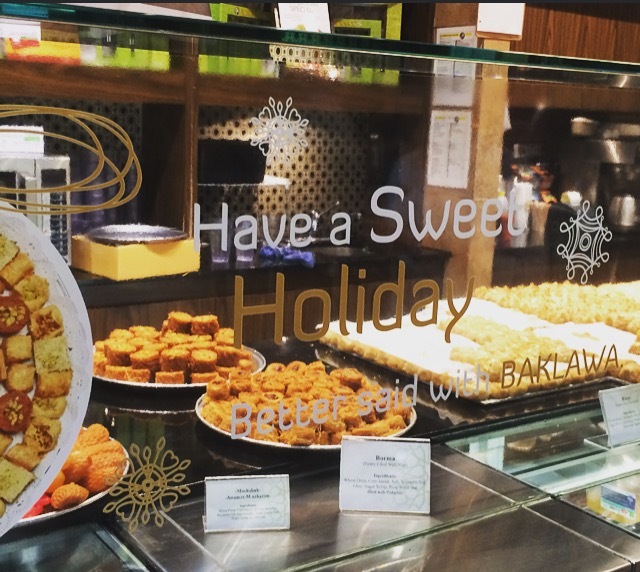 I know I’ll be back to buy a full tray and take it home to share with no one. NOT SORRY. 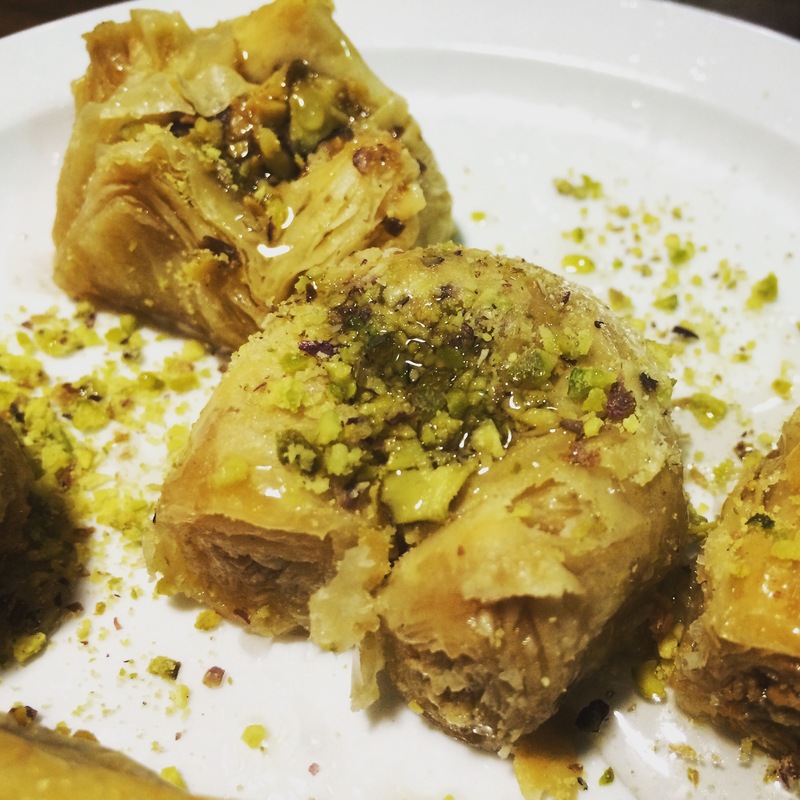 There’s just something about layered phyllo, melted butter, pistachios and sweet rose syrup that warms the heart and makes me a believer that there is still good in the world. I urge you to climb/bike/drive/walk up the mountain to Paramount Fine Foods and give this place a try. The menu is huge, full of fresh dishes with farm to table ingredients and produce. It’s a feast for the eyes and stomach. Hamilton’s Paramount Fine Foods is located at 1441 Upper James Street. I know where im going my next dinner out!